Puff-pastry, seitan, fresh asparagus, garlic-roasted mashed potatoes, carrots, caramelized shallots, green peas, organic kale and portabello mushrooms. 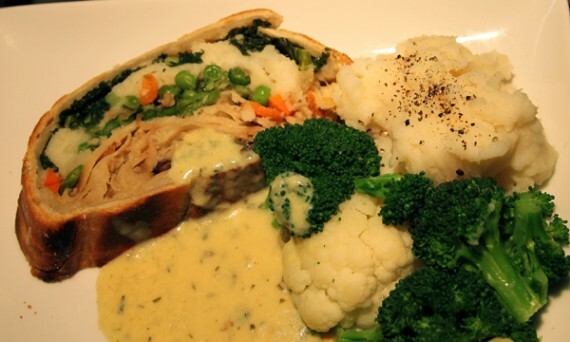 There’s also a generous tub of lemon tarragon hollandaise sauce which you can pour over the Wellington when serving. It’s rare that something so tasty can be prepared so easy: You put it in the oven for 50 minutes, slice and serve – that’s it! We also prepared some steamed broccoli, cauliflower and mashed potatoes for the side, but it really didn’t need any adornment. 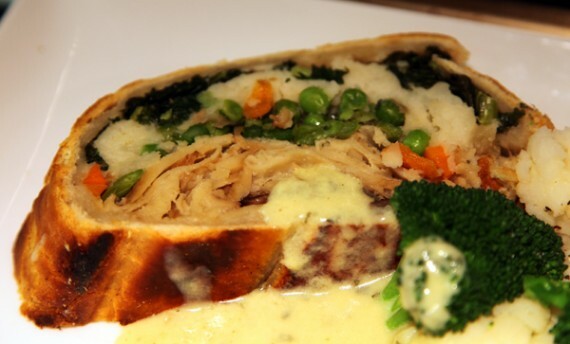 The Wellington would be perfectly fine as a meal in itself, or eight meals actually. The front line of pastry shell was perfectly puffed, yet thick and crumbly in texture – it held together while being machete sliced, yet wasn’t too crispy to melt in one’s mouth. Inside there was a taste assault, led by the incredible “how do they do that?” Native’s Seitan slices with perfectly seasoned vegetables coming up the rear in a pincer movement of attack with legions of diced carrots, portabello mushrooms gunning for the velvety roasted garlic mashed potatoes. The splish splosh of hollandaise sauce (a little sweet for my taste, frankly) added an aura of je ne sais quoi, moistening the whole damn thing and making it very, very edible (such that eight generous servings could easily turn into four: you have been warned!). 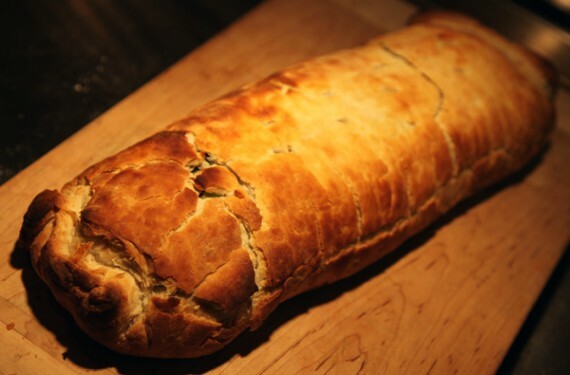 With spring giving way to summer, and the various religious holidays that abound at this time, a Spring Wellington is a superb investment if you’re entertaining friends or family. At only $40, it gives eight full-size servings and you really don’t need anything on the side, so you can’t really go wrong. 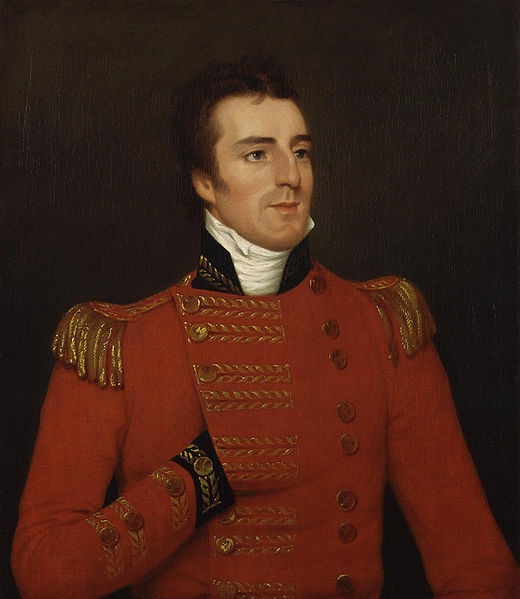 The 6′ 8″ foot tall duke is matched only in stature by the absolutely MASSIVE Spring Wellington: enemy armies would retreat at its very sight, and vegans everywhere would claim victory. See this picture with an iPhone for reference. I don’t like talking about war, but I guess one of the ingredients says it all: Give Peas a Chance. 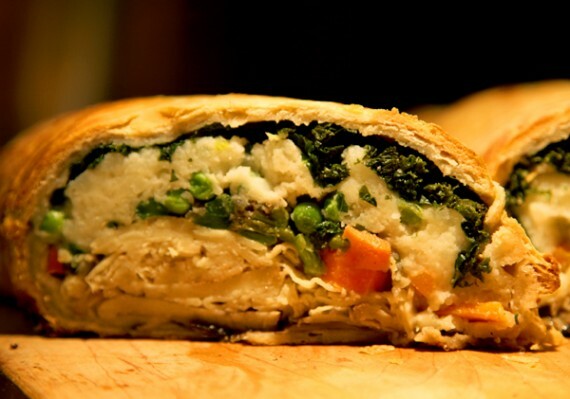 I implore you all to order a Native Foods Spring Wellington TODAY. They will be available for sure through Sunday, April 4th…and beyond that, supplies are limited. 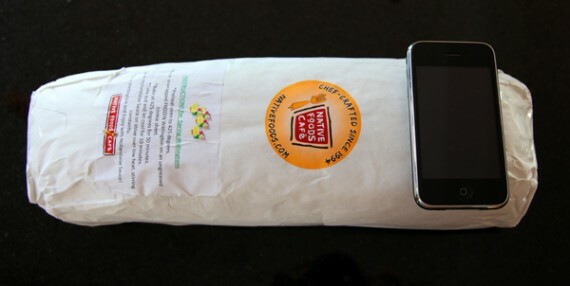 So call and get your Wellington NOW! Wellys are available at all Native Foods restaurants, so check out their website for a location near you. I was eyeing the signs for the Wellington when I was at Native Foods last night; it’d be awesome if they offered single servings for dining in the restaurant so that I could try it! this could probably feed me lunch and dinner for a week. hmmm! Wow, really appreciated the history lesson! Fantastic post! Need one in my mouth now. Sounds tasty, but where’s the “puff” in the puff pastry? Native Foods needs to update their seitan. I’m a fan of their establishment, but their seitan is really a throw away. I had it with their oklahoma burger thing–it took a lot of their ranch and fried pickles to save it…much better if you substitute one of their tempeh patties for the seitan. Looks divine! Thanks for the history lesson, so ironic! 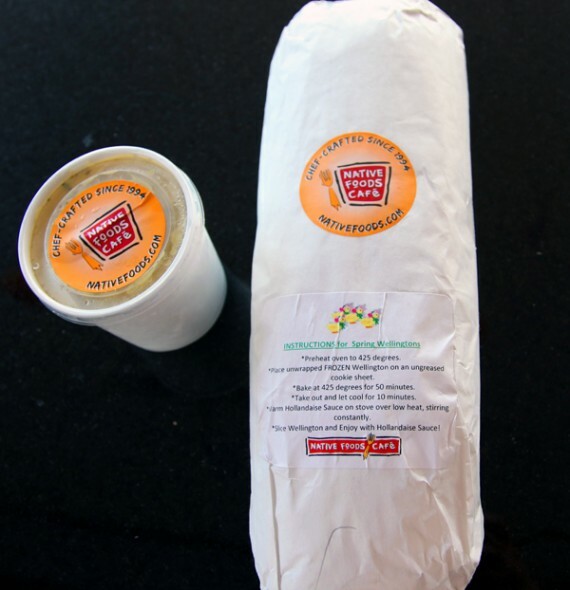 just brought mine home…it’s sitting in the freezer begging to be had! 😉 thanks for the history lesson, I was wondering where “wellington” came from. I tried a Native Foods Wellington for Thanksgiving and it was amazing! I am going to have to pick up one of these and see how it compares. I got the Wellington for Easter and it was SO GOOD. I couldn’t believe how awesome it was. Can’t wait to get another one.